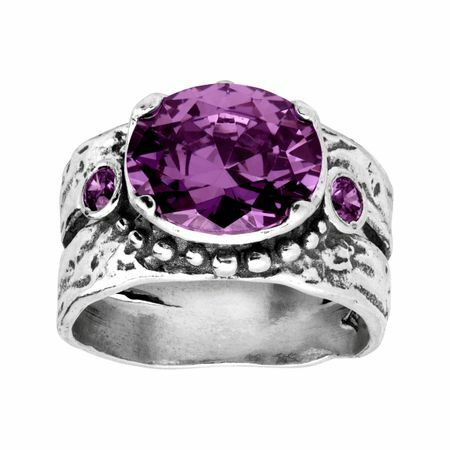 Shoot for the moon with this statement-making ring, crafted in beaded sterling silver and boasting a central purple cubic zirconia, flanked by two smaller stones. Ring face measures 1/2 inches in width. Piece comes with a “.925” sterling silver quality stamp as a symbol of guaranteed product quality.